It should not come as a surprise that nursing home understaffing and bedsores go hand-in-hand. Understaffing is the biggest contributor to nursing home neglect and contracting bedsores is the most common ailment among neglected residents. Sufferers are also susceptible to malnutrition, dehydration, sudden weight loss, pneumonia, and other physical ailments as a result of understaffing in nursing homes. Bedsores develop on residents that are incapable of walking on their own. These special needs residents may require constant care from nursing home staff to perform daily tasks. Providing mobile assistance to residents is one chief responsibility of all nursing home staff members. Unfortunately, these tasks are very time-consuming. Due to understaffing, many residents experience neglect that leads to bedsores. 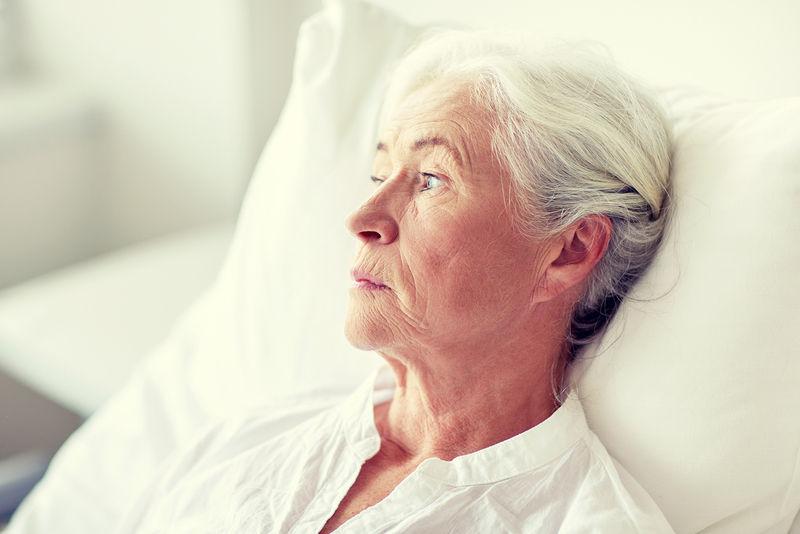 It is important for those with family living in a nursing home to understand what bedsores are and how to prevent them. It is also important to understand the scope of practice in a nursing home to make sure your loved ones are safe. Bedsores are skin infections that usually develop on the surface of the skin. However, rare forms of this infection can begin internally before appearing on the body. Sufferers develop bedsores when a portion of their skin loses the ability to circulate blood and oxygen. After a period of time has elapsed, the skin cells begin to die and the area becomes infected. If caught in time, medication can stop the infection from spreading to surrounding skin cells. The majority of bedsore cases develop in hospitals where patients are immobile and bedridden for most of the day. If a patient is not moved regularly, their odds of losing circulation gradually increase over a short period of time. It is important for nursing home staff to move patients into different positions throughout the day. This approach will reestablish circulation and decrease the possibility of bedsores from showing up on the body. Also, the infection can develop and spread quickly if the skin is wet. Bedsores often appear when a resident has been neglected and their clothing has become soiled. Bedsore infections are a very dangerous infection for elderly people to contract, especially if left untreated. Failing to treat the infection will allow it to spread throughout the body in a relatively short period of time and recovery time can be long. Elderly hospital patients who are ill with other medical issues may succumb to bedsores as a contributing factor in their death. If a nursing home facility is adequately staffed, bedsores are easily preventable. Elderly residents who have limited mobility must be turned over or repositioned in their bed once every two hours. Caregivers need to consistently check that the resident’s clothing has not become wet or regularly schedule for them to change their clothing throughout the day. If these two steps are followed precisely, nursing home residents have an excellent chance of decreasing the risk of bedsores developing. However, understaffed facilities make it impossible to care for all immobile residents in this manner. Nursing home staff need to be equipped with the right scope of practice, as this will help them care for residents that have mobility issues. Typically, a certified nurse’s assistant and a registered nurse are able to provide quality care easily. However, understaffing can make their day difficult because staff are forced to treat others outside their range of expertise. It is generally accepted that bedsores are preventable if caught and treated early. The seriousness of nursing home neglect has put a spotlight on the understaffing problems that plagued nursing home facilities across America. In some legal cases, evidence has shown that nursing home supervisors hid the diagnose of bedsores until it was too late to properly treat the infection. More and more families of deceased victims of nursing home neglect are filing personal injury lawsuits against the assisted living facilities that housed their loved ones. To learn about what you can do if your loved one is or was the victim of nursing home neglect, contact Attorney Dean Boyd. You can call us at (806) 242-3333 or Contact Us by email for more information about our services. You can also visit our office in person at 4423 SW 45th Ave in Amarillo, Texas or 5012 50th St #103 in Lubbock, Texas.